(Bloomberg) -- Oil hasn’t started off this strong in 18 years. After closing out 2018 in free-fall amid fears of a global supply glut and economic slowdown, U.S. crude prices have rebounded more than 18 percent to start this year. 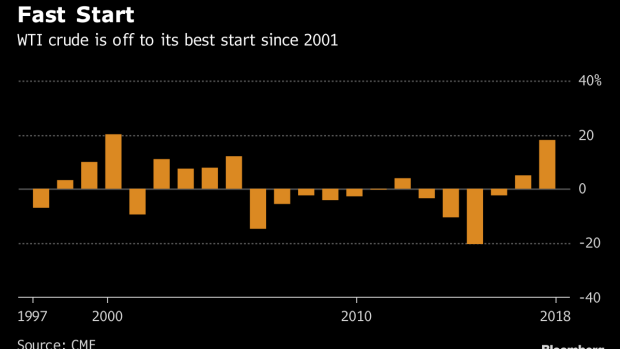 That’s the biggest climb over the first 13 trading days since January 2001, according to New York Mercantile Exchange data compiled by Bloomberg.